One by One is very active about spreading our message. If you would like us to speak to you, please reach out! On January 27, 2018, the official Holocaust Remembrance Day in Germany, One-by-One Board member and educator, Martina Emme, initiated the "GeDenktag"at Anna-Freud-Schule in Berlin-Schoeneberg. The opening of this event took place in a nearby church with over 1200 students in attendance. The opening was followed by 40 seminars and workshops with Holocaust survivors and guest speakers as well as exhibits created by students. In addition, there was a "remembrance run" to places of interest in the neighbourhood that were connected to the Holocaust and resistance. Along the way, the students were shown "Stolpersteine" (stumbing stones), bricks placed on sidewalks to alert those who pass by to read the names of those whose lives were taken by the Nazis. "Rachel Mann, a child survivor, was our guest speaker at the opening ceremony. During the Holocaust she was hidden in the basement of the church opposite the school building from which she spent endless hours gazing out at it. She was introduced by zwo students who made a remarkable short film about their meeting with her. The main idea of the GeDenktag was to help students - members of the next generation- to find their own approach to the dark history of our country and the lessons we all have to learn from it. Our honourary guests, the survivors and their relatives, are our teachers for the future. Their stories are milestones for a world in which the young generation learns about the essence of humanity." 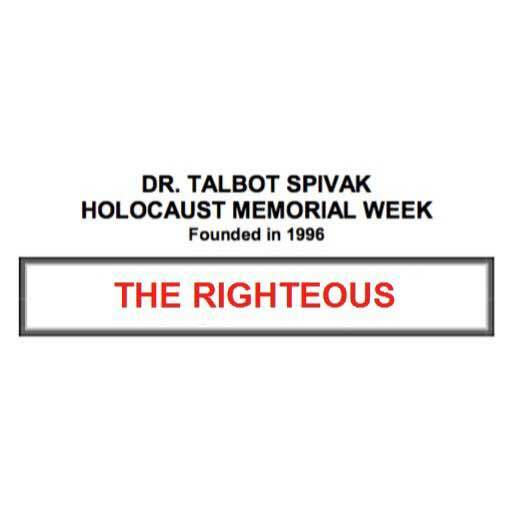 The mission of the Dr. Talbot Spivak Holocaust Memorial Week at Florida SouthWestern State College is to educate students and the community about the Holocaust, to honor its victims and survivors, to cultivate tolerance, and to promote awareness of modern-day genocide in support of the world's promise of "Never Again." Renate G., the Descendant of a Holocaust Survivor and Martina Emme, the Descendant of a Nazi Perpetrator and One by One Founder, presented a Journey of Transformation, a One by One Dialogue between Descendants of the Holocaust and the Nazi Regime. Our message of transformation is at work in the world.